it`s been a while since i`ve last posted. i have been having the worst mood swings. i just have my days where i`m just over everything and i realize i need to just wind down, reflect and figure out what the hell is going on with me. sometimes you just have to shut people out to focus on yourself and there is absolutely nothing wrong with that. i try to focus on myself by self-reflecting in my journal and throwing myself into my art. 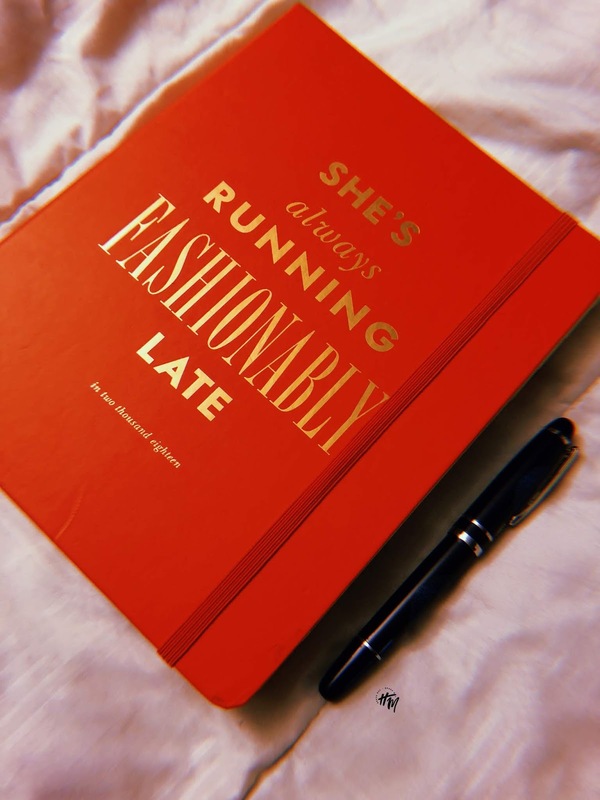 i purchased this kate spade agenda from bloomingdale`s and i write down my daily thoughts, my feelings, my predictions for my life... pretty much whatever comes to mind. self-reflection via journaling can keep you from internalizing negative thoughts and suppressing your emotions, which helps you to relieve + manage stress by getting rid of the clutter in your mind. it`ll help you get into the habit of being honest with yourself and gain a better understanding of who you are. for me, self-reflection is a great way to become aware of who jasmine is. i`ve learned so much more about myself by simply writing down exactly how i feel, why i feel a certain way, ways i think i can be better, etc. the best part is that your journal can`t attack you with an opinion and discourage you from freely expressing yourself; it can`t tell you that what you feel is wrong or bad. so now you have the liberty + freedom to be as open as you`d like and really explore the depths of you. journaling also helps me to visualize things and bring forth action to concepts that i`ve been able to jot down (so i won`t forget). i can actually see what i want to do and plan accordingly. the photo above showcases a few of my paintings. when i look at my work, i get a sense of pride and accomplishment, knowing that these hands of mine created this piece of work. i love rewatching my work-in-progress videos or looking back at photos that show the process from conception to fruition. 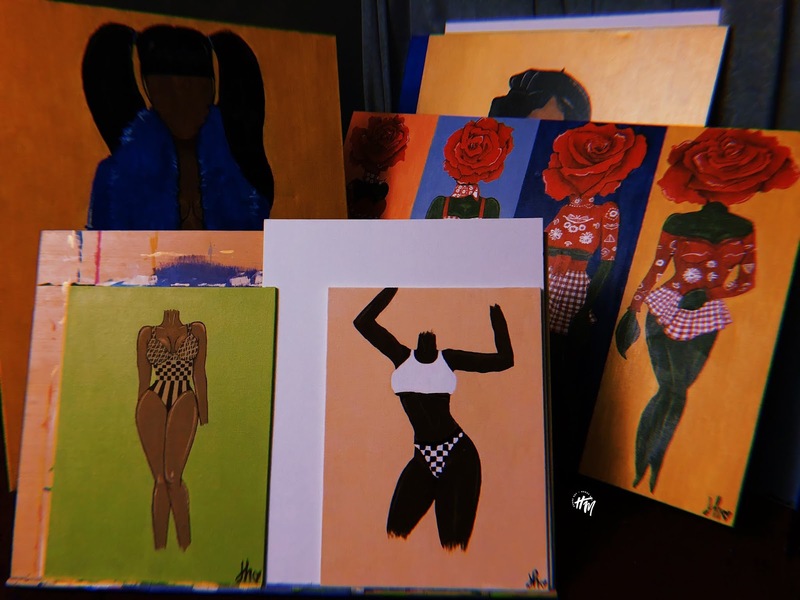 i can see my growth, my dedication + my passion and it`s just so fulfilling. picking up a hobby is one of the best ways to relieve stress and find good ways to keep you occupied!